High Floor Spacious one bedroom facing East .This apartment is large and gets excellent light. You can come in and put your own touch on it. The gracious layout includes both a generously sized bedroom and living room as well as an entry foyer and dining area. 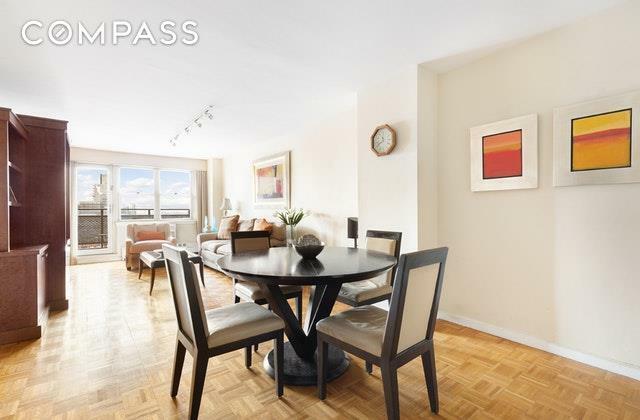 This apartment boasts great closet space throughout. There is a large balcony facing East overlooking First Avenue also offering Northern and Southern views. 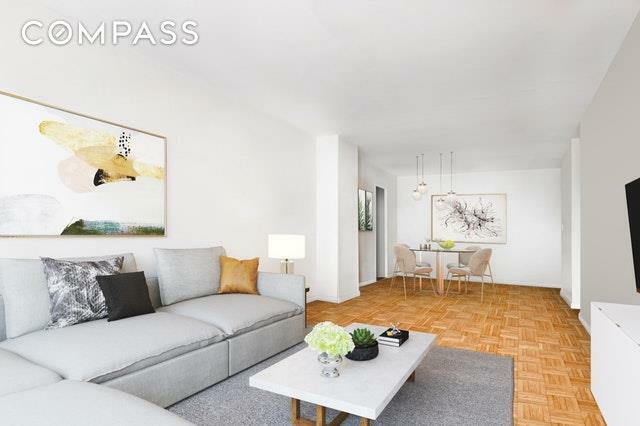 This is a full service building in the heart of the upper east side with a full time doorman and a live-in resident manager. Lots of shops and restaurants nearby. 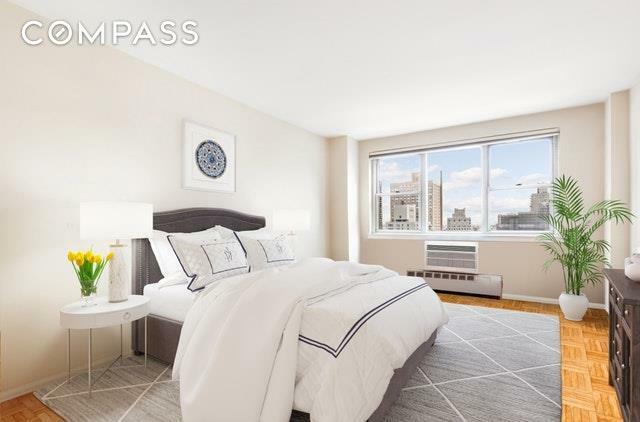 Close to the new Second Avenue Subway and crosstown bus makes the location convenient to most parts of town. 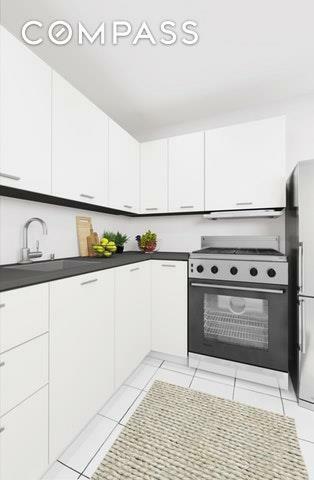 Other amenities include a laundry room, fitness center, outdoor courtyard, additional storage, and an on-site garage. Co Purchasing, guarantors and 80% financing are all ok. Washer/Dryers in unit are permitted and pets are welcome. Listing courtesy of Andrew Scheck of Compass.